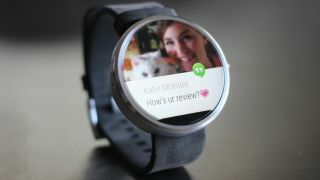 Could we see the Moto 360 2? We could be set for a wave of new Motorola devices in the coming months after the company chairman of parent company Lenovo let slip during the TechWorld conference in Beijing. Speaking to the Telegraph, Yang Yuanqing said "We have many new models in development with the Moto brands, so you may see in summer us launching some very exciting products, including phones and watches." These will be the first devices to roll off the Moto production line since Lenovo officially took over. While he wouldn't be drawn on exact product details, the hope is we'll see the arrival of the Moto 360 2, as the wearable is due an upgrade - especially now the Apple Watch is out LG is on its third Android Wear iteration with the Watch Urbane. Moving focus to smartphones and we've already seen a new Moto E arrive this year, which leaves the door open for potentially new Moto G and Moto X handsets. With Windows 10 arriving on July 29 and considering Lenovo's extensive experience in the computing market, there's a case to be made for the firm to develop handsets running Microsoft's operating system. That's not going to happen anytime soon though with Motorola's global sales leader, Colin Giles saying "There are no plans to start launching operating systems other than Android. "One of the key differentiators for us is the pure Android experience, and we're deeply proud of that, because we believe it brings a much better software experience to consumers, and faster upgrades." We have contacted Lenovo for more information on these comments, and we'll update this article once we've received a response.